Hey, Adrian here. This is the full, everything included, nothing hidden product update! But before you read through it, you are more then welcome to test it out for yourself! Caution: Installing a pre-release product may result in unexpected behavior. We recommend before installing you backup your site fully. We are not responsible for any complications you may experience. 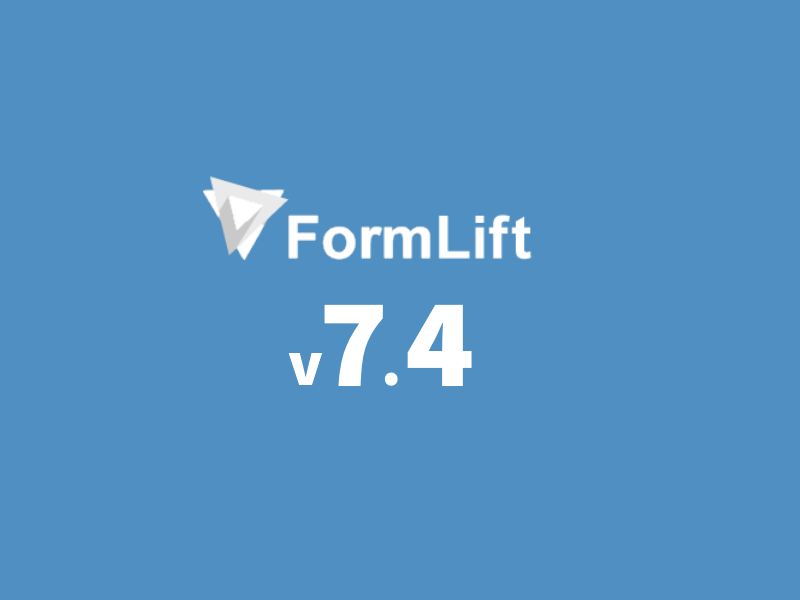 To install the pre-release, first delete your current FormLift plugin, and install this one! We are going to tackle areas 1 at a time, and run through every single change. First off, we’ve removed the license form from above the settings page due to our new model of licensing extensions separately. 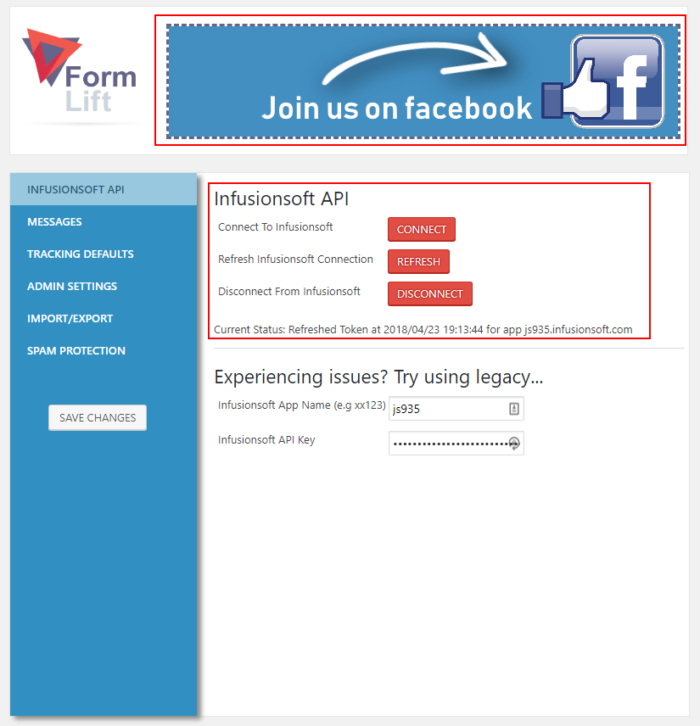 We have also re-engineered the API authentication process. It should function quicker, smoother, and be more reliable from now on. 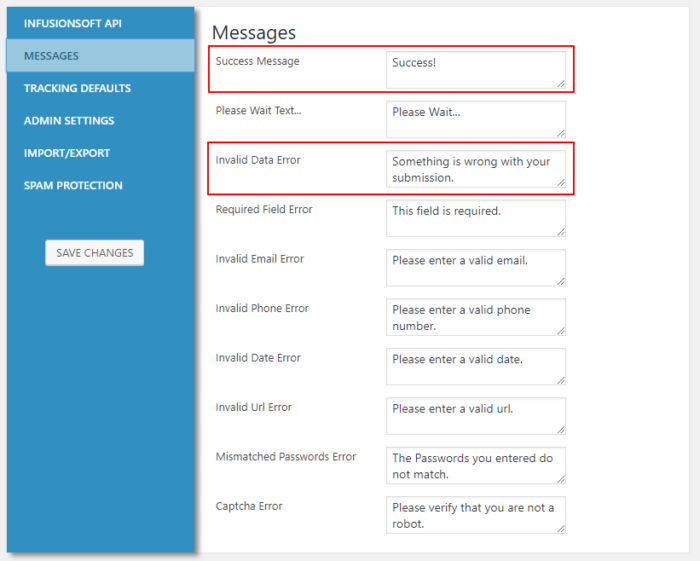 There is now a customizable success message, and when a form fails to submit, it will show the invalid data error rather than just “Error(s)”. We’ve simplified user tracking and data collection. 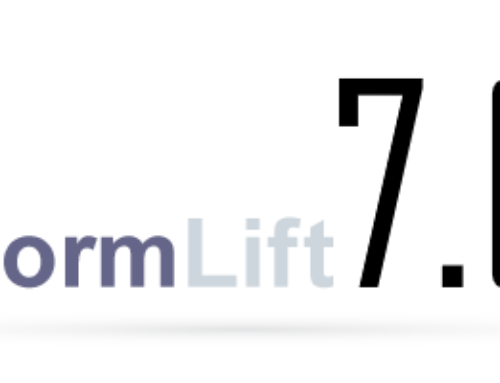 Much like how a user remains logged in or your cart is saved in WordPress, FormLift stores user’s submitted information for a certain period of time. You can now specify that time, or disable session storage altogether for compliance purposes. You can also delete all saved data en-mass. 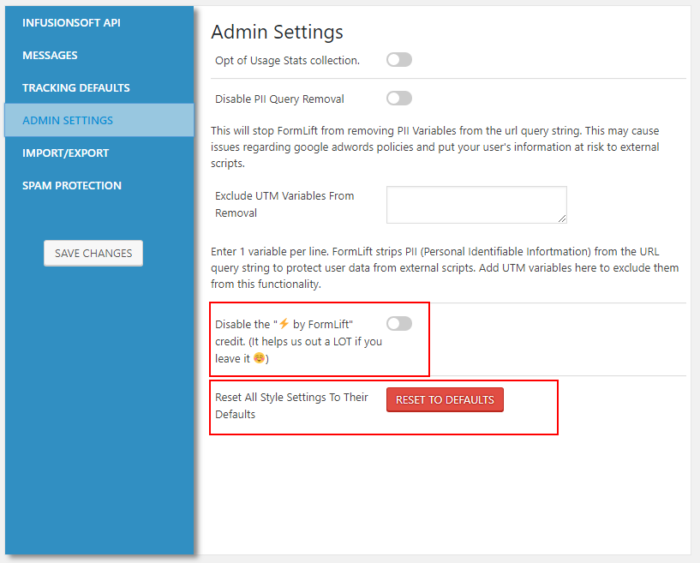 If you have premium modules installed, the option to disable the FormLift credit will appear in the Admin Setting, it will no longer be disabled automatically. So if you want to help a Dev out, you can choose to leave it enabled. You can also revert all your settings to the defaults with the click of a button. 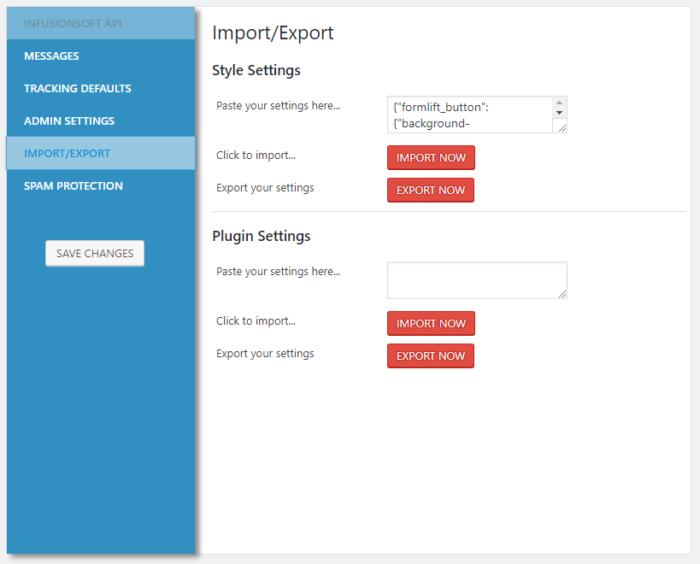 You can now import and export settings between installations! Some of the style settings have also been changed, but the differences are to little to point out in this post. 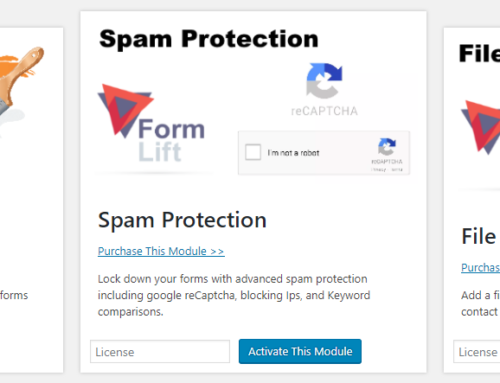 Since all of our premium functions have been separated into individual extensions, you will license those extensions from this page! We’ve made a few new UI improvements to the editor. Bigger, bolder fields! We’ve given the visual editor a nice makeover so you can enjoy your experience more. 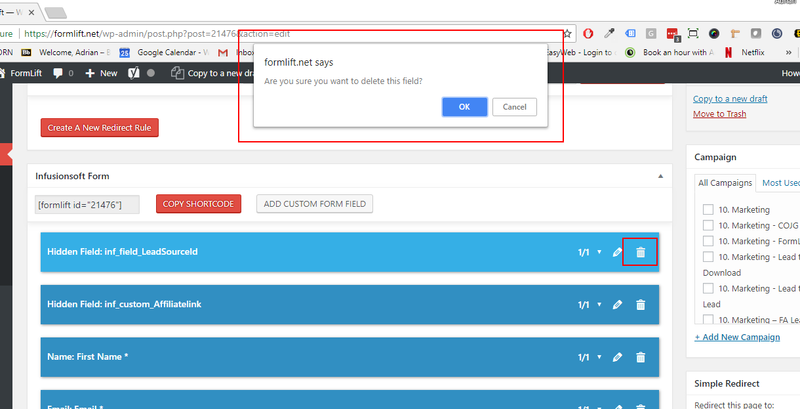 Get a confirmation message when deleting a field, with the absence of an undo button, we just want to make sure you didn’t click delete by accident. A redesigned field editor! We’ve replaced checkboxes with pretty toggles. 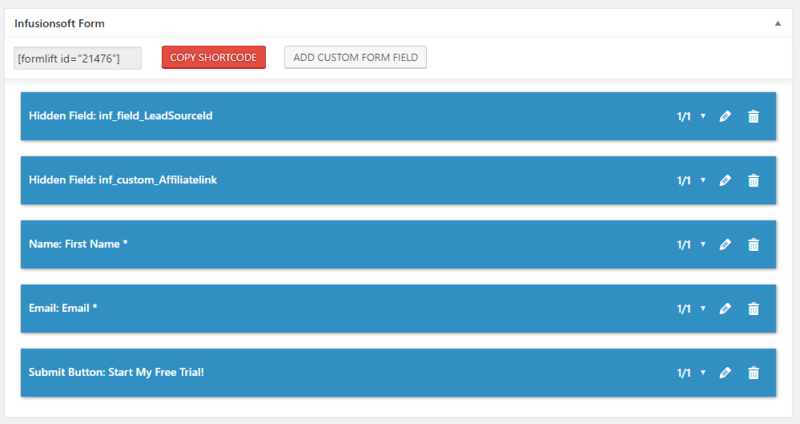 And we’ve changed label fields to be textareas so you have more editing room. 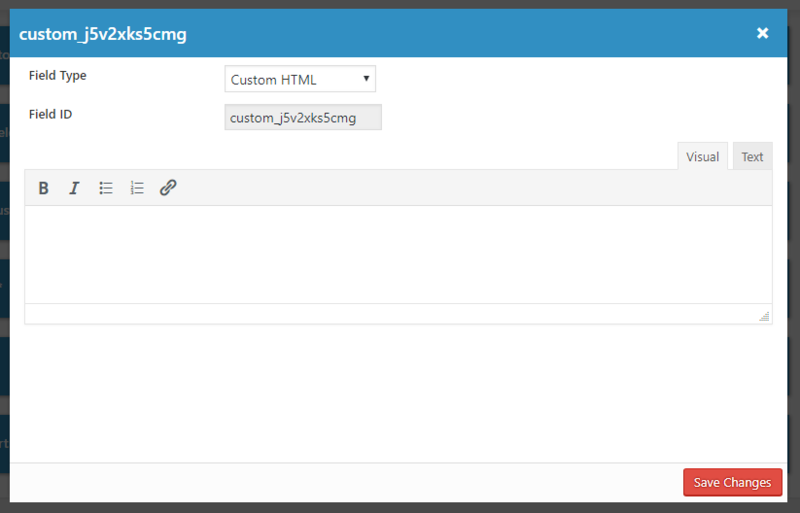 Custom html has better formatting now with a WSIWYG Editor. 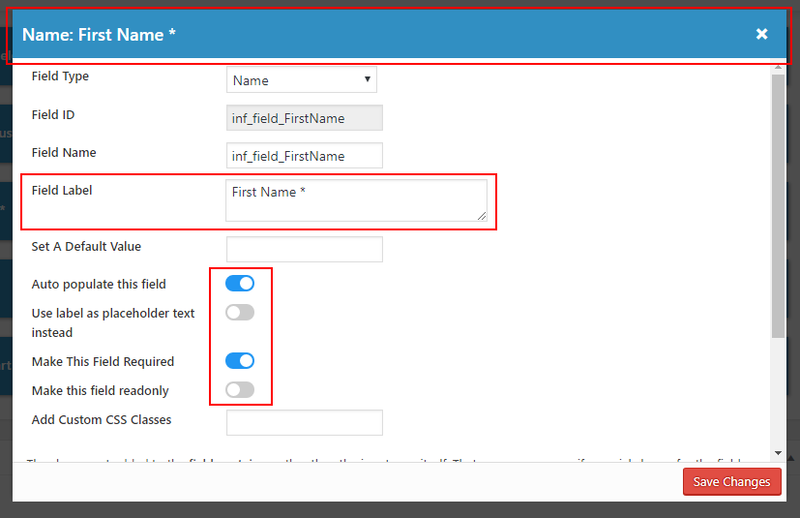 New experience when adding custom fields. 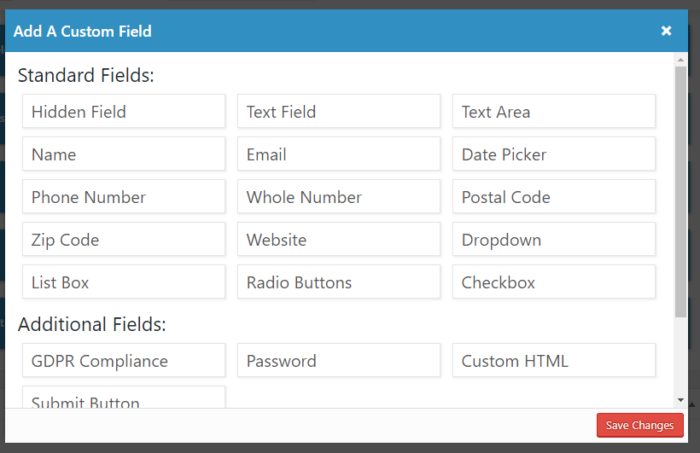 Simply click on the type of field you want to have it automatically generated for you! 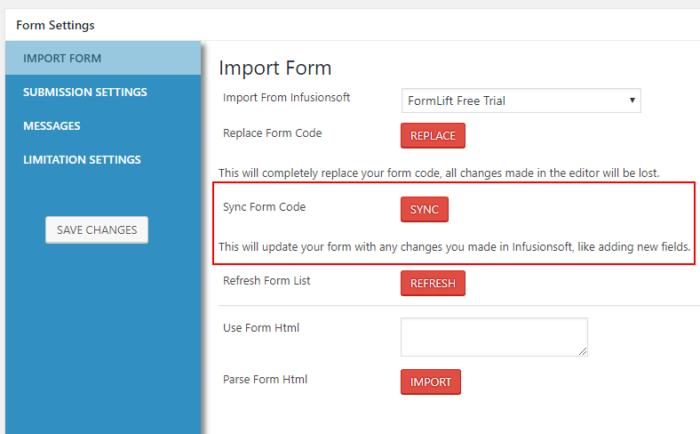 Sync your form code to preserve any changes you made in FormLift rather than replace it outright! You can now keep users from being redirected to the thank you page (BETA). 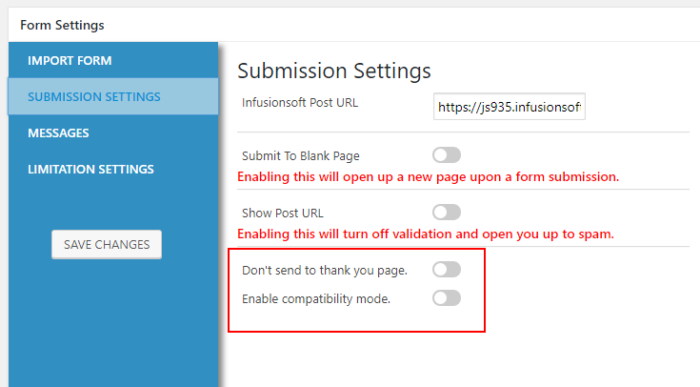 You can also enable compatibility mode, in case a plugin is blocking your wp-ajax file, such as WP Spam Protection Plugins. The preview button now works! So you can easily and quickly test your forms for real. We’ve release 9 new Premium extensions! To see them all, visit our Extensions Store!